You get a wacking 6 total aux-sends with this board... 3 post fade aux sends, and an additional aux4 /5 shared send, (4 post, 5 pre) then aux 6 is fixed pre-fade. ok... it took about an hour to do one board, including removal and refitting, so as you can see, it's firstly a very time-consuming job. Ok, secondly, i didn't really do it the way I'd like. 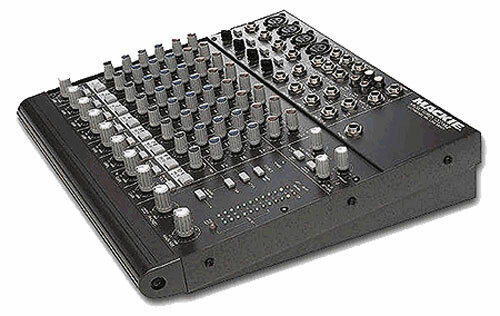 I would really say that one should blow out the pots and faders and buttons with compressed air first to remove dust and loose miniscule particles, then lube it... I only lubed it, but this was enuff to turn a scratchy channel into one which makes no sound when pots or fader is moved and it's stable in terms of potential signal breakdown while passing through any audio program material. Ok... so without images, you must first remove all the outer upper-face mounting screws which are all the screws round the very outer edge; there's not many... Now that's done, you can raise the back up like a car bonnet, and after about a foot of travel upwards there is an earth strap which will be at it's full length stretch, so you need to detatch that... it is a simple spade connector and a quick tweak with the fingers removes it, one thats disconnected there is just the power multipin from the supply to the board top (a bit like an ATX computer power block connector). That has a much longer ribbon cable, and so you can now lift the top face plate of the mixer right up like a bonnet and see inside. If you lift it like that from the back, the front wont slide forward and fall onto the floor. The front cusion pad stops it from moving forward, so you can use that as the fulcrum edge to raise the top plate by the back as described. Under the hood, the channel boards are fixed to the face-plate by the pot nuts under the black/coloured plastic pot-covers. Then there's a screw at the bottom and 2 more; one either side of the XLR mic socket. SO you have to take off all the plastic pots, then use a spanner to undo all the pot nuts/washers, then undo the 3 channel-board fixing screws, then the fader top/bottom screws. 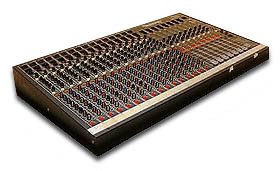 The channel board can then be lifted out of the mixers face-plate, as can the fader which si attached to the channel board by a lead and pc-motherboard-style plug/socket with a locking lever which clips it in position. Remove the channel-fader lead plug, and that can then be seperated from the channel board. Now this leads to another point... I realised that a smaller diameter squirter tube for the spray would be way more efficient to get the lube into the pots cos the holes are smaller than the typical aerosol tube diameter... so i'll have to investigate that at the parts shop, cos if a smaller diameter tube could be had (one which tapers to a finer point) then the time to lube all the pots would radicaly reduce from 45 minutes to something like 15 minutes.. that much! So you squirt in the lube and then rotate the pot over and over and then turn it fully the other way, inject some more lube & again rotate & rotate the pot spindle fully in each direction over and over until it feels smooth and easy. I did the same for all the buttons too; injected lube into the body of the switch and repeatedly clicked it and before that blew hard into them to dislodge any bits (compressed air really is needed again here). After each pot was done i wiped clean any spray that had strayed to keep the actual board dry and clean where possible. The detached fader unit can be done too. Each fader unit has a thin black plastic film cover which helps stop dust and fluff getting into the exposed fader track, so first I used a soft hobby paintbrush which I ran up and down the opening film cover to tweak out any bits of fluff which might be in the opening (especialy round the top and bottom of the fader) Then some lube and lots of sliding up and down to work the lube in and clean uo the tracks. Next the sockets... noobs might not know but you can buy something called a metal burnishing jackplug. This is basicaly a solid metal 1/4" jackplug which has a very fine 'wet & dry' style abrasive finish on the shaft and tip. You squirt some cleaner onto the burnishing-plug's abrasive shaft/tip and then insert it into the socket and rotate and plug it in and out repeatedly. This repeated pluging in/out action causes the gentle abrasive to polish crap off of the socket's inside metal contact faces where they meet any inserted plug. As you have the board removed of course you can turn it to any angle and thus you can see right thru all the 1/4" sockets; so after burnishing I like to then clean out the socket holes with Isopropyl alchohol and cotton wool buds. I can say you need ALOT of buds to do this mixer or most of the others in the Studiomaster range, cos you can also use them to clean up any lube spillage which gets onto the board itself in between components. The XLR mic sockets are the same in that each of the 3 holes pass right thru to the back, so you can again as with the line-sockets, angle it to see right thru the 3 XLR socket holes. This allows you to easily use a thin strip of fabric or a small bud wetted with isopropyl alchohol to pass thru the XLR socket holes and clean out any grease and dust. So thats what I did and it worked for that channel. Anyhows... thats enuff for now, I'll tidy this up and add some pics soon, but the channel I did sounded nice when done. Clean and crackle free. one other thing is, you can replace the channel boards in any order you like, so you can put the good ones starting left and any slightly dodgy ones you can leave till 15/16 and get them fixed as soon as required. At least that way you can say to yourself, "Ok, channels 1-14 are 100%" or whatever. 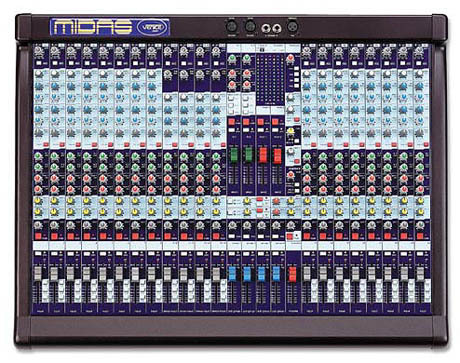 Btw there's nothing scientific/tech about this, yes I'm sure one should do some electrical tests on eq and line/mic amps, but for anyone thinking to get one of these, the point is, you probably will at the least have to clean all the boards unless you get the chance to try it first and can be sure it is flawless all throughout. 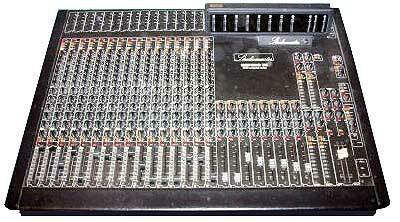 can you tell me where i can get hold of a manual for the series 5 studio master 16-8-2? I need a non working Powerhouse to use for spares. Or a moniter board. All available Studiomaster information downloads are at the link I've added - Hope you find what you're looking for. studiomaster 16-8-16 manual, I will pay well for photo copy of full manual. can someone get the manuals for studiomaster 16-8-16 for me.pdf format. Does anyone want to buy a Studiomaster 16-8-16 console witn manual? 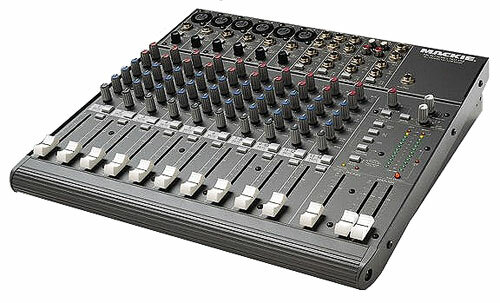 I have just brought a Studiomaster for my recording studio (amit.) Not even sure If it works . But its given the studio A REAL PRO Look . 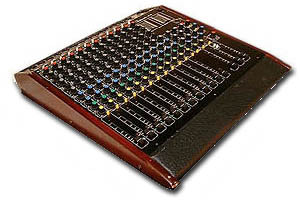 Have used this studio master on several massive Jigs around East London [Club 19] and Stratford Rex, but the sound out of it is so amazing. It really gives out excellent highs, mids, and low freqs. BIG UP TO THE MANUFACTURES OF THIS UNIT!!!!!!!! Am Out!!!!!!! 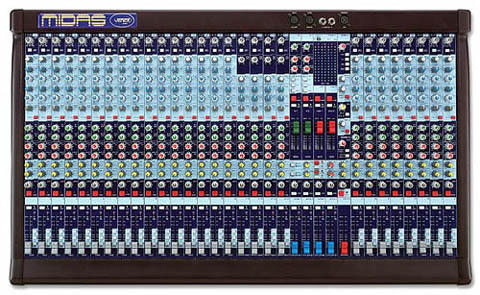 Hi I have the 16-8-16 and cant work out how to turn the phantom power on, if it does indeed have it, on the front it says +48v at the top right with two little arrows obviously signifying something on the back, however there's no switch so i was wondering whether perhaps it was something that was optional and is not actually on my desk? or do i need to open it up? thanks a lot. got a Studiomaster 16-8-16 (with manual) cheap, but all faders are really sluggish. I think i need to replace them. 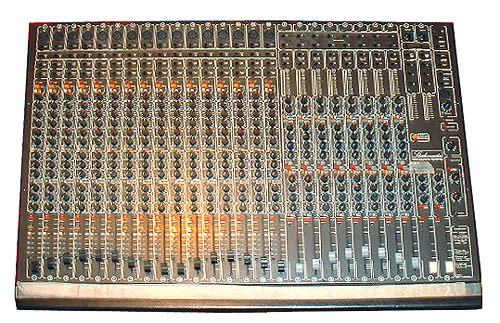 What faders can i replace them with? I'm a little afraid to open the thing before I actually start fixing anything. Any help appreciated!!!! 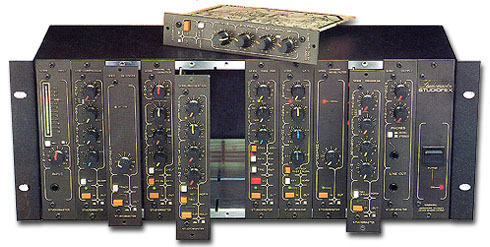 I've got some Studiomaster manuals and schematics on Mixdown Gold and a few others. Download them free at microsonic.dk/studio.html. any one help my clip lights keep going to max when i switch on .this happens on all 8 chanels and the master faders help pls. 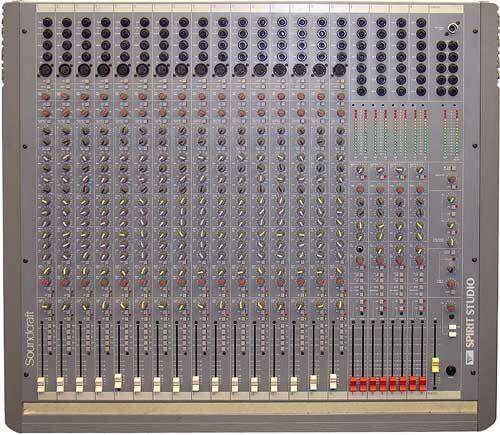 i'm looking for a manual for this board. studiomaster mixdown 16.8.16. please help! 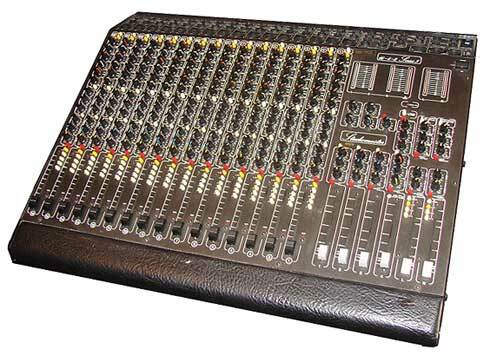 I have a 16-8-16 with additional 8 channel expansion, can you spare a pdf of your manual? [quote] Shane Mills wrote: Does anyone want to buy a Studiomaster 16-8-16 console witn manual? 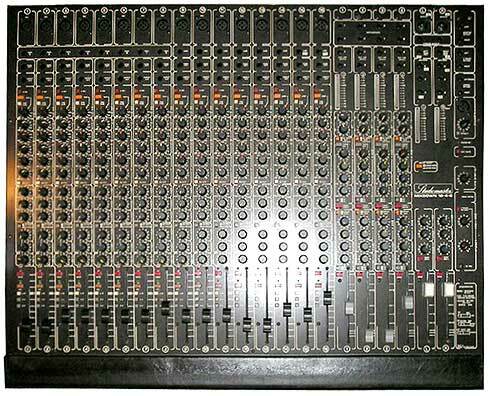 [/quote][quote] Nathan Turner wrote: Just purchased studiomaster 16-8-16 gold mixer need manual any help will be appreciated [/quote] i would like a studiomaster board,,Thank you !! Necesito conseguir manual de usuario y manual de reparaciones. Urgente. are you still looking for it, I just ran across one, but have not tested it yet. all 8 busses but ..
after that your flying. nice board .. quiet when gain structure is good.